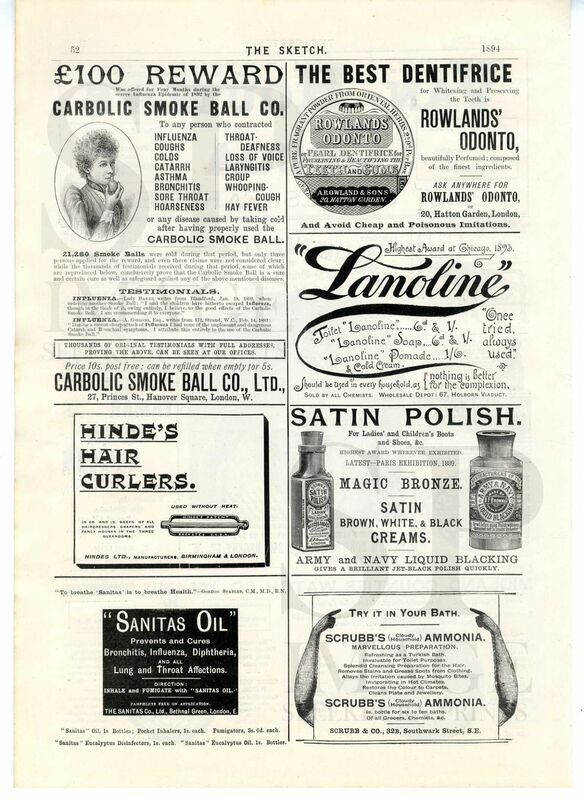 Carbolic Smoke Ball Co. £100 Reward - Info. 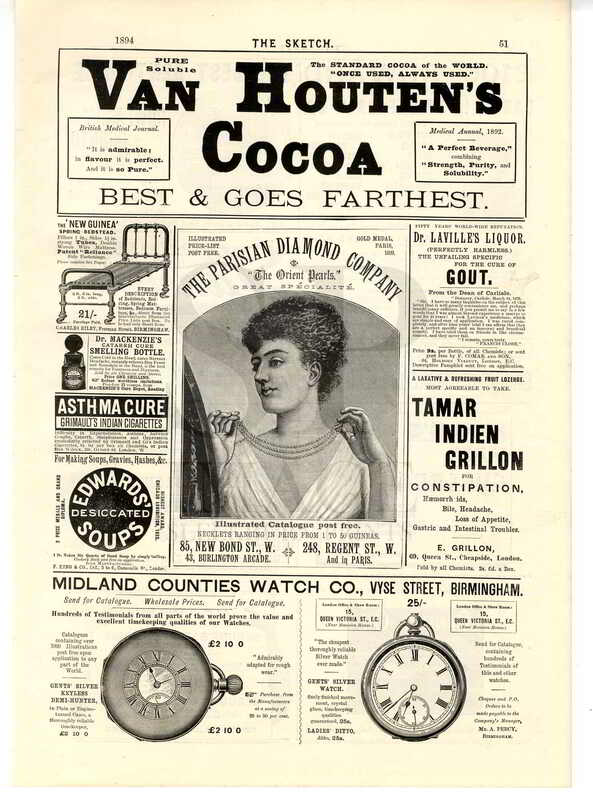 this was a controversial advertising campaign which resulted in the court case: Louisa Carlill v Carbolic Smoke Ball Co.,  1 QB 256 and became a landmark case in protecting the rights of consumers and defining the responsibilities of companies. It continues to be cited in contractual and consumer disputes today. Satin Polish and Army and Navy Liquid Blacking. Sanitas Oil and Scrubbs Ammonia. Provenance: The Sketch (magazine) - Publisher: George Routledge; London 1894. A British illustrated magazine, which focused on the theatre, high society and aristocracy, art, sport and leisure A Journal of Art and Actuality. It ran between 1893 and 1959. It was renowned for its high photographic content. From the date stated and not a later reproduction. This is a page from a Victorian periodical and therefore is printed on both sides. The page measures overall approximately 350 x 245 mm (14 x 9.5"inches ). There is some age yellowing around the edges - please check the larger picture for condition. This item will be packaged in a tube unless otherwise requested. The watermark does not appear on the original page. Our use of the term "an original print/engraving" is a pictorial image made in a manner which allows it to be multiplied, and originating from the date stated. This includes examples of various methods of printmaking including engravings/woodcuts, etchings, lithograph, chromolithographs, photogravures etc.